specializes in designing customized web sites that will enhance your image without breaking your budget. 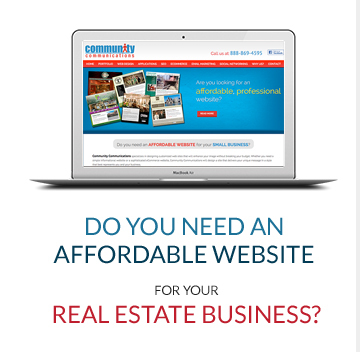 Whether you work as an agent or run your own independent real estate business, Community Communications will design a site that makes a positive impression on your potential clients. Having a great looking website isn't enough, though. Community Communications can also help turn your site into a marketing tool. Our eRealtyVantage application suite will help attract new clients and increase your productivity. We also offer innovative services such as Search Engine Optimization and Social Networking Optimization to increase your visibility. Looking to boost your performance? Our eRealtyVantage system offers a suite of applications designed to take your marketing and sales activities to another level. eRealtyVantage lets you tailor your website to your specific clientele by offering search fields that are most likely to be important to them. In addition, you can customize the layout of your listings and avoid the redundant “one size fits all” look of other agent websites. eRealtyVantage includes a complete Customer Relationship Management (CRM) system that will keep you up to date on what types of properties your clients are looking for and how active they have been. It also notifies you whenever someone new performs a search. eRealtyVantage includes a sophisticated email marketing system that automatically sends your clients the newest listings that meet their search criteria. It also enables you to send ongoing “drip marketing” emails and seasonal newsletters. A custom template to match your website is included. Whenever you complete a transaction, eRealtyVantage will automatically send your clients a thank you email asking them to review your performance by clicking on links to Yelp and Google. It will also notify you every time you receive a new review. eRealtyVantage will automatically post your new MLS listings to your Facebook page, saving you time and generating more exposure for your listings. Community Communications will also strengthen your branding by creating a professional Facebook page to match your website. 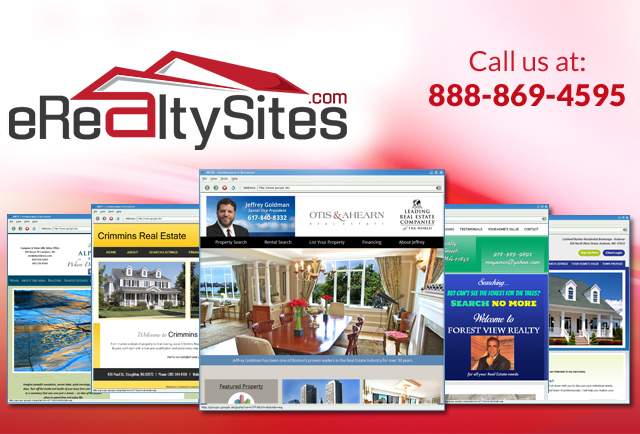 eRealtyVantage lets you easily create standalone websites for your listings; e.g. [propertyaddress].com. Each website can contain a slideshow of photos, a video, floor plan, photo gallery, etc. This provides a more effective way for buyers to learn about your listings than looking at MLS listings.